Faith Hope Love Antique Pewter Twist Pen [PKHPENAP] - $56.57 : AnkleBiter Woodworks, When all else fails, send in the dacschund! 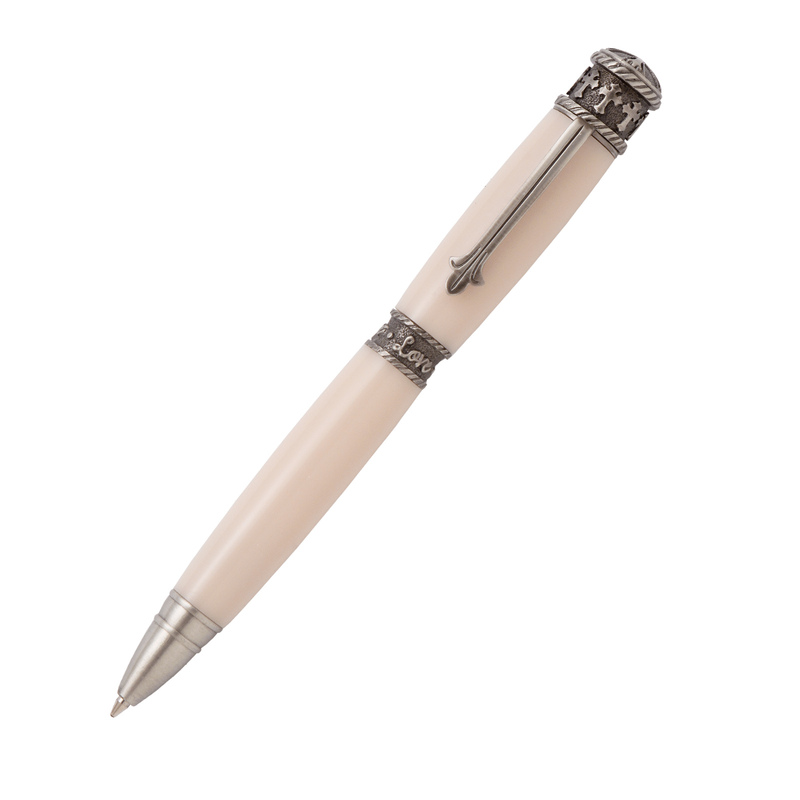 "Faith" "Hope" and "Love" are intricately cast into the center band and the pen top features attractive cross designs. The Cross on the tips and clips are reference to the Fleur-de-lis. In the Middle Ages the symbols of lily and Fleur-de-lis overlapped considerably in Christian religious art. The three petals of the heraldic design reflect a widespread association with the Holy Trinity. Here we are using the three to symbolize the virtues of Faith, Hope and Love. The braided rope detail reinforces the concept of trinity, with a braided rope being made from three separate stands into something much stronger. Smooth writing performance with a Parker style refill. Plus, the Antique Pewter finish is formulated to simulate the sophisticated sheen of time-worn pewter. The authentic patina and natural darkening brings out the details of the finish and creates a unique feel with a charm all its own. It will add a sense of warmth to your to your handmade creation.